“This Tuesday the French police have arrested near Paris 165 people belonging to the People’s Mujahedin of Iran, the main Iranian opposition force’s movement who, according to Home Affairs minister Nicolas Sarkozy, aimed to “settle their rear base in France”. As much as 1.200 policemen and 80 militaries participated in this wide breaking in operation on 13 different sites in the Parisian suburbs, which was part of anti-terrorist judge Jean-Louis Bruguière’s rogatory commission. “165 people belonging to the People’s Mujahedin of Iran have been arrested” following a judicial inquiry initiated in April 2001, said the ministry of Justice in a release. Among the people arrested stands Maryam Radjavi, wife of head of Mujahedin Massoud Radjavi and nominated by the group as the “future President of Iran”. Those who escaped the raid felt as orphaned. No home, no food, on the streets, with nothing. It was a sad night for the Mujahedin. This illegitimate attack represents the biggest police operation of the last 30 years in Paris according to “La Libre”: “According to the police, this operation is “one of the most important ones led by the DST (the French counter-intelligence service) these last 30 years”. However, this huge display of the law enforcement agencies has not permitted to find anything that was expected to be found, that is terrorist acts. Still on “La Libre”: “According to sources close to the secret services, “it is not to be excluded” that the Mujahedin have planned to perpetrate terror attacks abroad. There is not element though which could lead us to think they wanted to perpetrate terror attacks in France” underlines the same sources. Following this sad announcement, the Mujahedin supporters rushed from all over the world to Auvers-sur-Oise in order to demonstrate in front of the DST and demand the prisoners’ release, particularly Maryam Rajavi’s. Some among the most committed ones, hearing about the prisoners’ expulsion towards Iran, tried to set themselves on fire, even in other European States. Among these, two women have died: an Irish-Canadian girl Nida Hassani and her mom, Sedigheb Mojaveri. 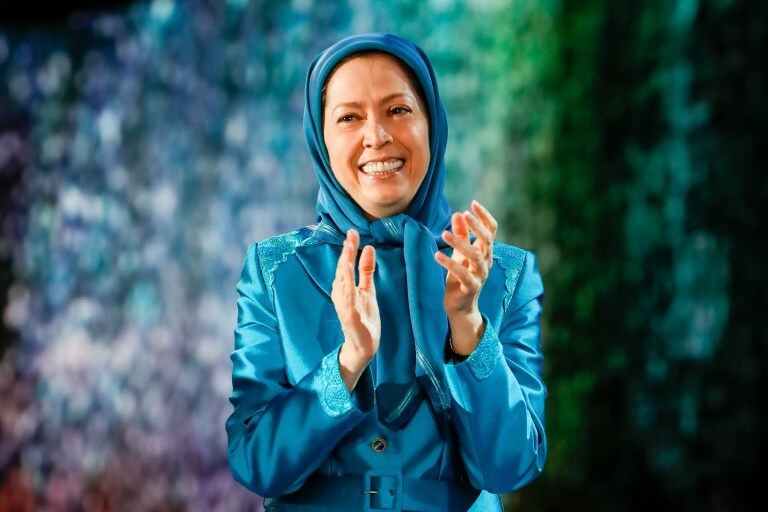 However, despite all the plots and awful consenting policies, Maryma Rajavi has been released and Auvers-sur-Oise has now become the international zone of the Iranian Resistance. It was through these very events that the Iranian Resistance has found friendship and affection among French people: celebrities such as Danielle Mitterrand and Abbé Pierre have declared their support to the Iranian Resistance and their leader Maryam Rajavi. As the website “La Depeche” wrote, everything ended in a loud fail: “The release of Maryam Radjavi and ten other People’s Mujahedin of Iran is an incontestable defeat for the anti-terrorism Justice, especially for judge Jean-Louis Bruguière whose methods in this case have been fiercely contested, particularly regarding the declarations of the minister of Home Affairs and the Head of DST. Fifteen days after the spectacular raid who led to the arrest of 164 people in the Parisian region, actually, none of the 17 accused was held under surveillance yesterday”. After two weeks Maryam Rajavi is released and goes back to her headquarters where she is welcomed by her supporters’ joy explosion. After this tremendous plot, the Iranian Resistance not only did not weaken but became stronger than ever. 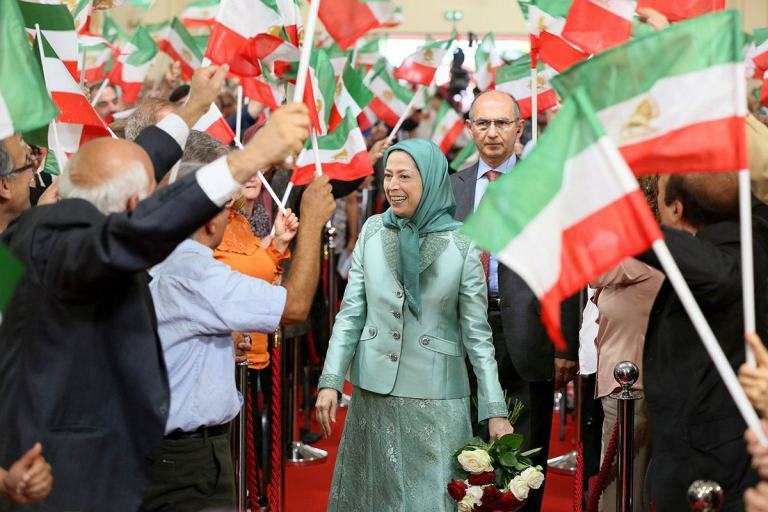 Maryam Rajavi, the symbol of the Iranian Resistance managed to get all the 3000 members of the People’s Mujahedin of Iran Organisation (OMPI/MEK) out of Iraq where they were living under the constant attacks of Iranian missiles. She even succeeded in making Europe and the United States remove the People’s Mujahedin of Iran and the Iranian Resistance’s names of the black lists for terrorism. This Resistance, once under attack, managed to successfully go forward and overcome every obstacle. A couple of years ago, the Iranian Resistance held a huge rally in Paris with more than 100 000 people coming from all around the world. This year, like last year, we will witness a great and beautiful Iranian Resistance Rally in Villepinte-Paris Nord. Major political figures will hold important speeches and will describe the current situation of both the Iranian Resistance and the declining Mullah regime! Great political figures from the whole world will show their support to the Iranian people’s insurrection, to its resistance and to its president Maryam Rajavi. By taking part into this Great Rally you will support the Iranian people who are risking their lives to end a brutal dictatorship. Make the voices of millions of people living under tyranny heard. Send a message of hope and solidarity to those who fight for freedom, democracy and to make Iran free #FreeIran.